The following chapter explores learning internet agents. In recent years, with the massive increase in the amount of available information on the Internet, a need has arisen for being able to organize and access that data in a meaningful and directed way. Many well-explored techniques from the field of AI and machine learning have been applied in this context. In this paper, special emphasis is placed on neural network approaches in implementing a learning agent. First, various important approaches are summarized. Then, an approach for neural learning internet agents is presented, one that uses recurrent neural networks for the learning of classifying a textual stream of information. Experimental results are presented showing that a neural network model based on a recurrent plausibility network can act as a scalable, robust and useful news routing agent. 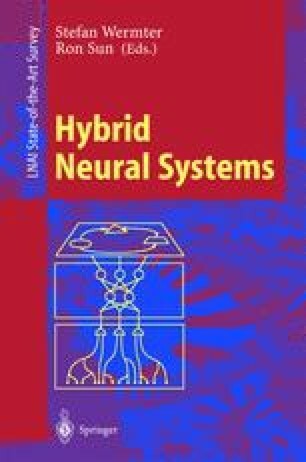 concluding section examines the need for a hybrid integration of various techniques to achieve optimal results in the problem domain specified, in particular exploring the hybrid integration of Preference Moore machines and recurrent networks to extract symbolic knowledge.